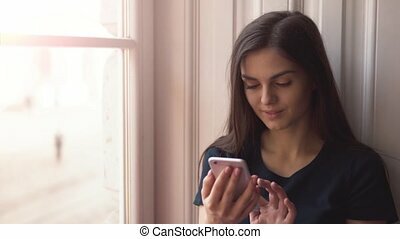 Brunette woman texting with her smartphone against a white wall. 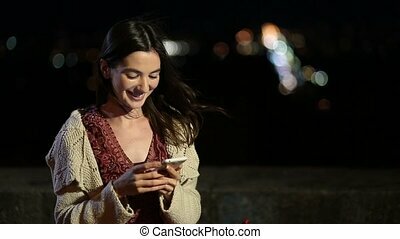 Gorgeous young smiling brunette woman texting message on smartphone at night over colorful citylights bokeh background. 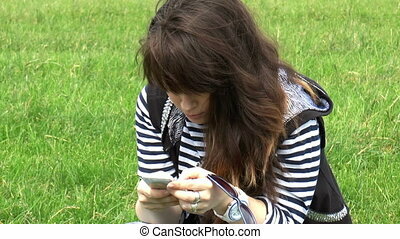 Elegant long brown hair female typing on mobile phone while relaxing outdoors in city at night. 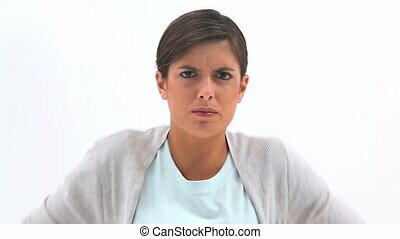 Attractive young woman texting whilst walking along . 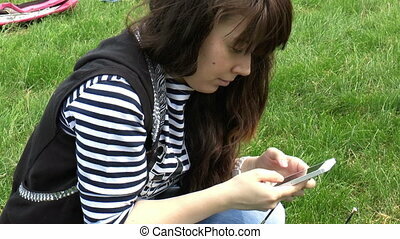 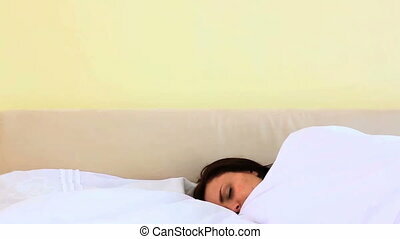 Young woman uses her phone to read and respond to a text message. 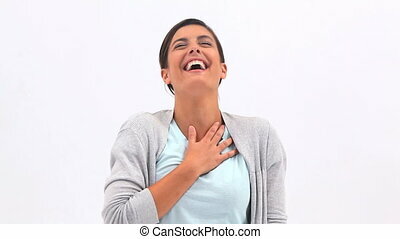 Woman texting on smartphone in cafe.